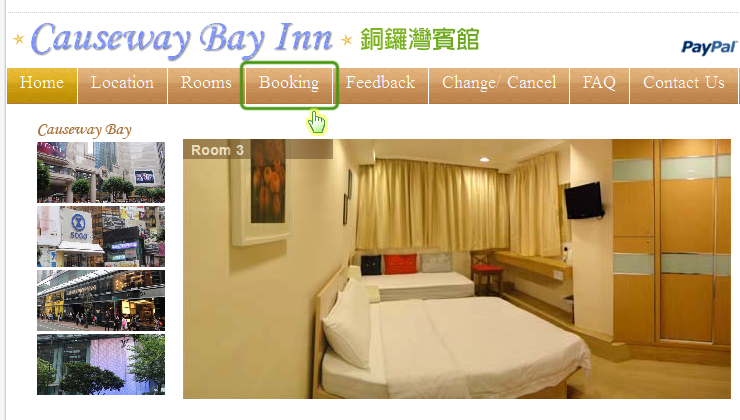 Select the first night and the last night of your stay. 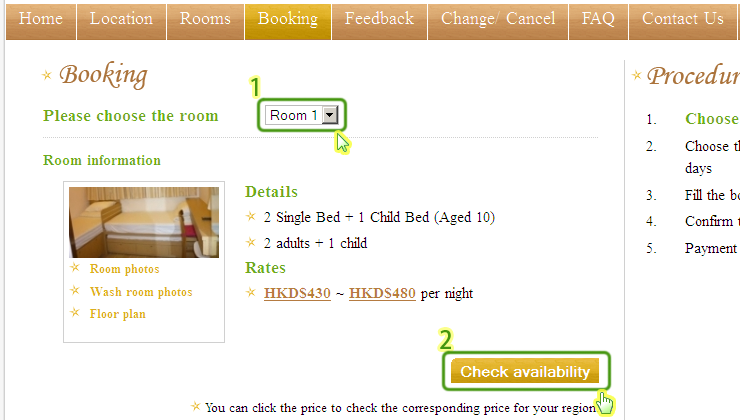 If you want to book more than one room, please go to Step 1 again. 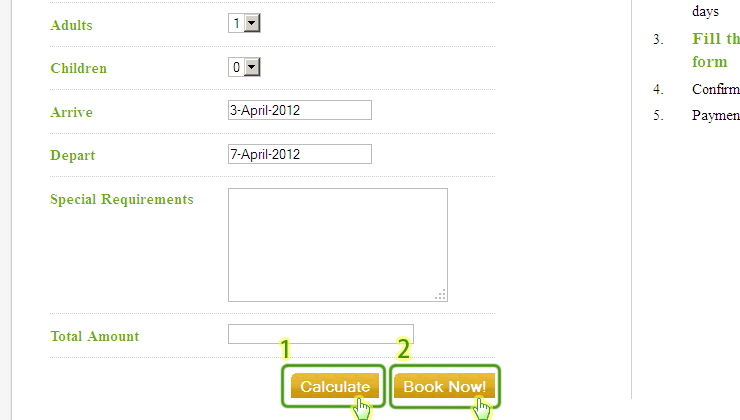 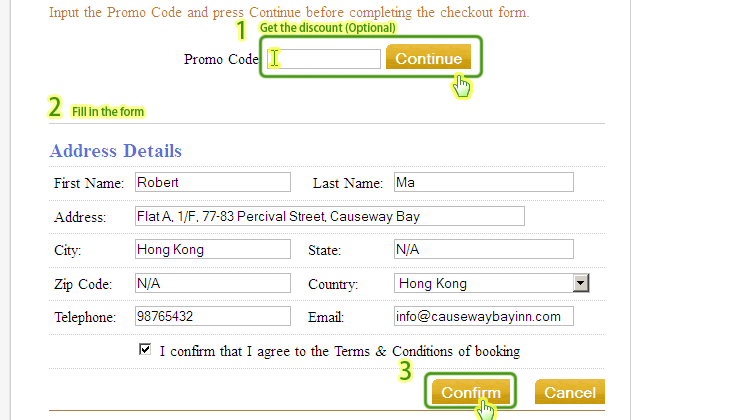 Otherwise, get the discount (optional) and fill in your address details. 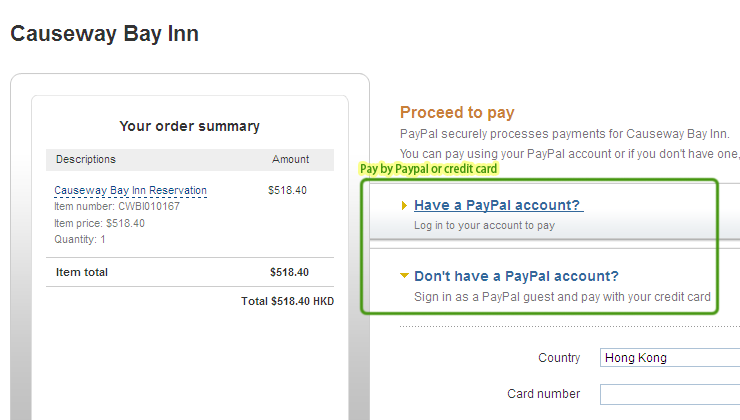 Pay by your Paypal account or your credit card. 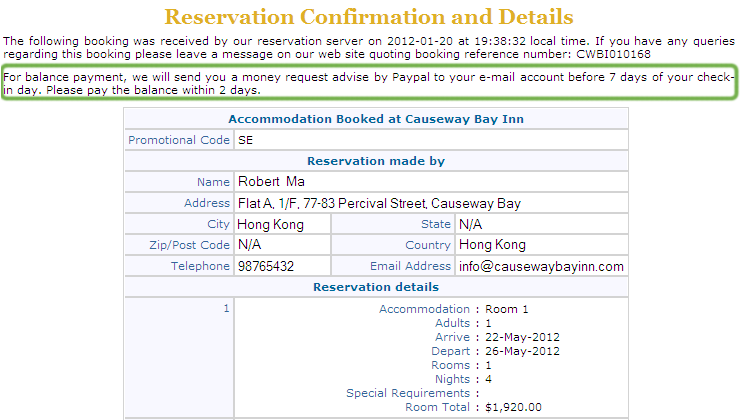 Receive the confirmation e-mail after successful payment.